Overall, I thought Now Probiotic 10 was an above average probiotic. I really like the number of live organisms in this one if you’re taking it to treat a specific ailment– 25 billion. Or after you’ve taken a course of antibiotics. The CFU count may be a little high to use this as a daily probiotic however. I was very impressed with how well this product is formulated to avoid the main allergy concerns. This is a big plus since food and other allergies are becoming more and more common nowadays. Speaking of allergies, I have terrible seasonal allergies. I was pleasantly surprised that while I was taking this supplement; it actually gave me relief from my incessant sneezing and stuffy nose! On the downside, Now Probiotic 10 is one of those supplements that needs to be kept refrigerated at all times. This keeps the probiotics alive (we wouldn’t want to be taking dead litter critters every day! ), but you have to wonder it was kept refrigerated at the warehouse and while being transported. Chances are it wasn’t. The suggested usage states to take 1-2 capsules between meals or on an empty stomach. A lot of probiotics recommend taking them with a meal, so for this particular product, this is something you want to keep in mind! I prefer to take it right when I wake up with a glass of water, so I don’t have to worry about food interfering with it. All things considered, this is a good probiotic supplement. You get a solid 25 billion organisms, it’s allergy conscious, and you can take it as a daily or therapeutic supplement for digestion and immune health. 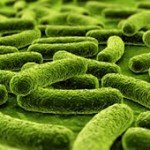 There are 10 different probiotic strains in Now Probiotic 10. Of note, the Lactobacillus plantarum strain has been shown to help with suppressing the growth of bacteria that causes gas and bloating. This strain might also help with the integrity of the body’s intestinal lining and its permeability. 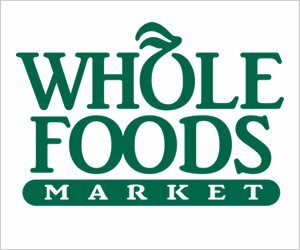 Finally, it may also be beneficial for those with depression or those who are looking for an antioxidant boost. 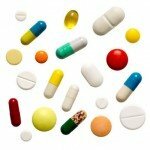 The capsules also contain a sugar called FOS (Fructooligosaccharides). This added ingredient may actually help foster the growth of friendly bacteria within the colon. It seems like more and more probiotic supplements are including this ingredient. One strain I’m not a fan of is L. casei. Lactobacillus casei has been shown to be fairly aggressive in the sense that it can overrun the “good” probiotics by occupying areas that other probiotics might have taken in the body. Some companies like to include it, and that’s fine, but personally it’s not my favorite. Anyway, with 25 billion live cultures, and in 10 different strains, this product can double as a daily supplement or be taken for a specific ailment. Probiotic 10 is fantastic when it comes to allergies! They seemed to have made this probiotic with the allergy-sensitive in mind. The capsules contain no dairy, wheat, soy, or gluten. It’s also GMP (Good manufacturing practice) quality assured and is not manufactured with wheat, gluten, soy, milk, egg, fish, shellfish, or tree nut ingredients. This product is also vegetarian and vegan friendly! Which is awesome for all the animal lovers out there with tummy troubles! 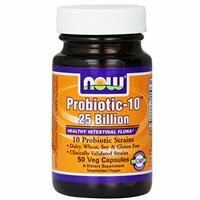 The price per day of using Now Probiotic 10 comes in between $0.30 and $0.60, which is right about average for a probiotic. I personally think this is a great value since you are getting a good quality multi-strain probiotic for your money! One of the best things about this product is that when I tried it out, I experienced no side effects! 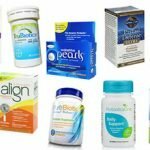 This is amazing because you can often times see gas and bloating while taking probiotics. Two thumbs way up! A product without side effects is a major plus. Unfortunately, we couldn’t find a guarantee for Now Probiotic 10 on its website. We would have really liked to see a money back guarantee. However, if you buy the product from Amazon.com, they offer a 30-day return policy. To buy Now Probiotic 10, click here.